This wasn't on NHS land but is a walkway for 100s of NHS staff from a gravel car park to work every day, kids and prams too . apart from the obvious issue, what do we need to consider? H&S Training required for the person responsible for this ? During a recent H&S walk around outside Derriford Hospital GMB & Unite Reps thought these markings didn't look quite right. We would appreciate your views. consider yourself in a vehicle and as a pedestrian. Picture 4. - two lane road. - your a cyclist. The number of paramedics signed off work with depression or stress increased by more than 40% last year. 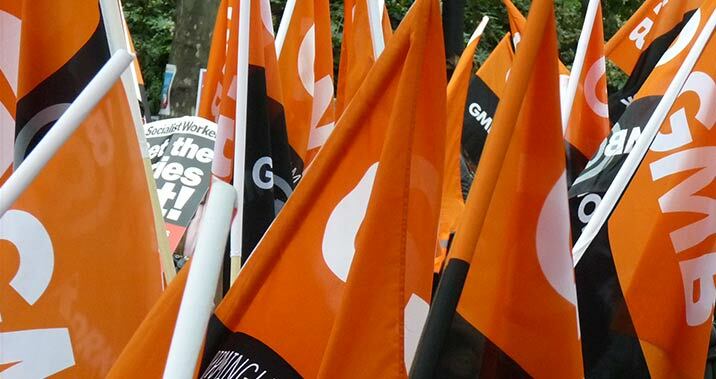 Become one of over 620,000 working people who are part of GMB Union.